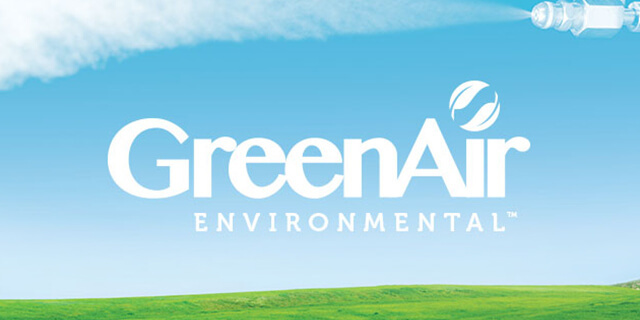 Green Air Environmental is as brilliant as it is simple. 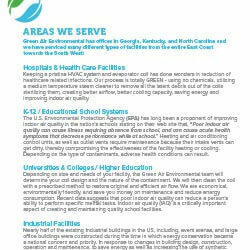 Utilizing the disinfecting and cleaning properties of steam and air pressure, Green Air has created an entirely all-natural and chemical-free cleaning process for HVAC systems and air handling units. This process is vital to the health of their clients, the lifespan of expensive industrial equipment, and for the well-being of the planet. 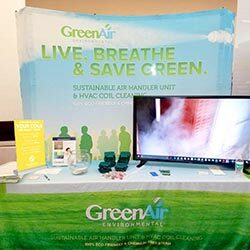 By providing these services to sprawling universities and vast medical complexes, Green Air can ensure proper maintenance of costly equipment while maintaining a high level of customer care. 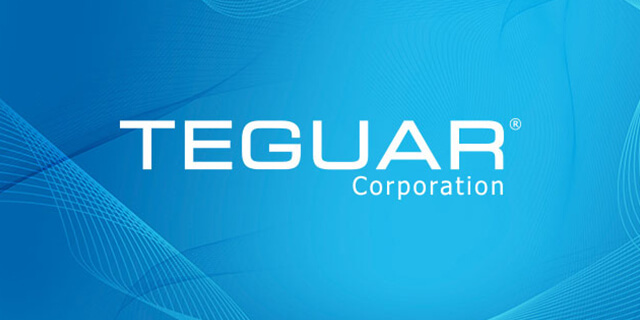 They are able to secures significant energy savings for their client while making sure they are breathing easy. SO WHAT DID WE DO EXACTLY? It was easy to get creative with Green Air when you are working with someone as passionate as Green Air founder, Tim Robbins. TalenAlexander wanted to take his vision and the fundamental values that he brought to Green Air and translate it into gorgeous graphics, an updated logo, a user-friendly website, engaging social media content, and compelling sales materials. 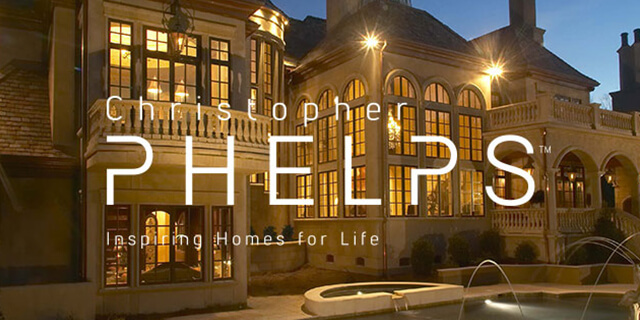 Tim worked closely with us to ensure that we worked to help educate his industry peers and procure potential clients. Our design team was able to refresh the Green Air logo by bringing a sense of modernity while remaining true to the heart of the original design. 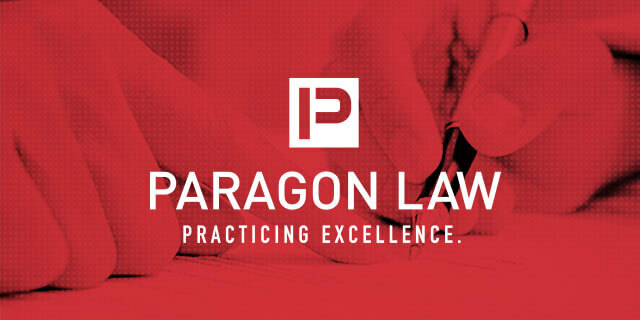 The original logo was well-loved and our design team wanted to remain true to it’s integrity while giving it a facelift. 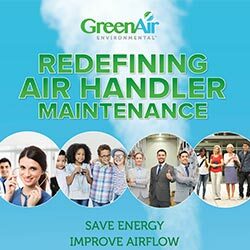 Once the logo was complete, we were able to take the refreshed brand identity and streamline it across Green Air’s web presence, collateral, and presentation materials. Our website development team focused on bringing Tim’s vision for Green Air to life. Tim launched Green Air in late 2016 bringing his unparalleled passion and extensive experience to create a new marketspace. TalenAlexander was able to translate the brilliant simplicity of Green Air into a beautifully designed website. 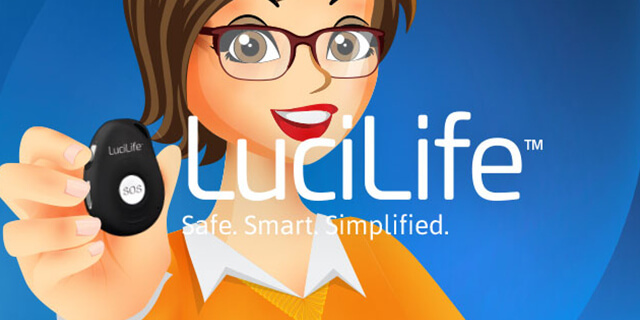 The website also served as an educational resource for both current and potential clients utilizing before and after pictures, video of their all-natural process, and an up-to-date blog. 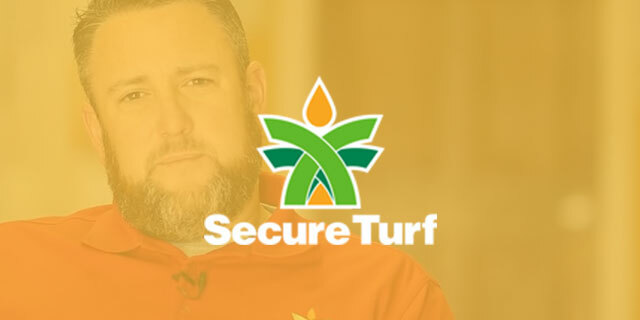 Tim is not only passionate about the chemical-free alternative he provides, but educating both his peers and clients on just how big an impact his steam cleaning process can make. Chemical processes damage equipment, allow harmful toxins into the air, are not as effective, and damaging to the environment. 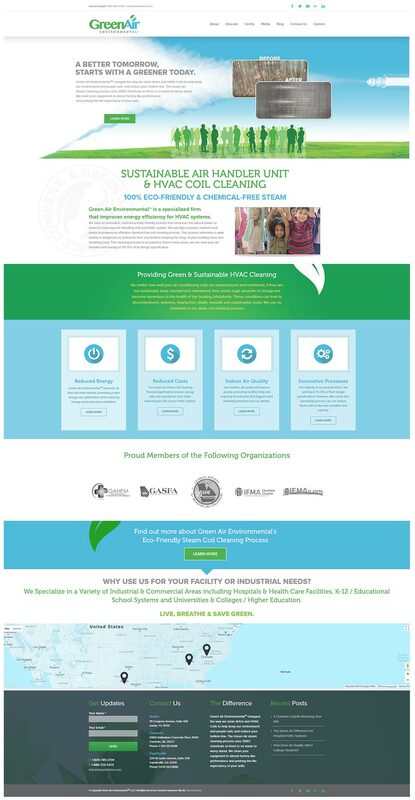 In order to spread his message and to keep current and potential clients up-to-date on industry news, we created a resource section of the website. This section contained weekly blogspots targeting key markets like hospitals, medical complexes, and universities. These blog posts were spread via social media and through Green Air’s newsletter. 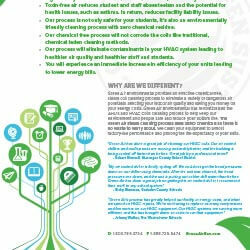 We worked closely with team at Green Air to create monthly email newsletters. 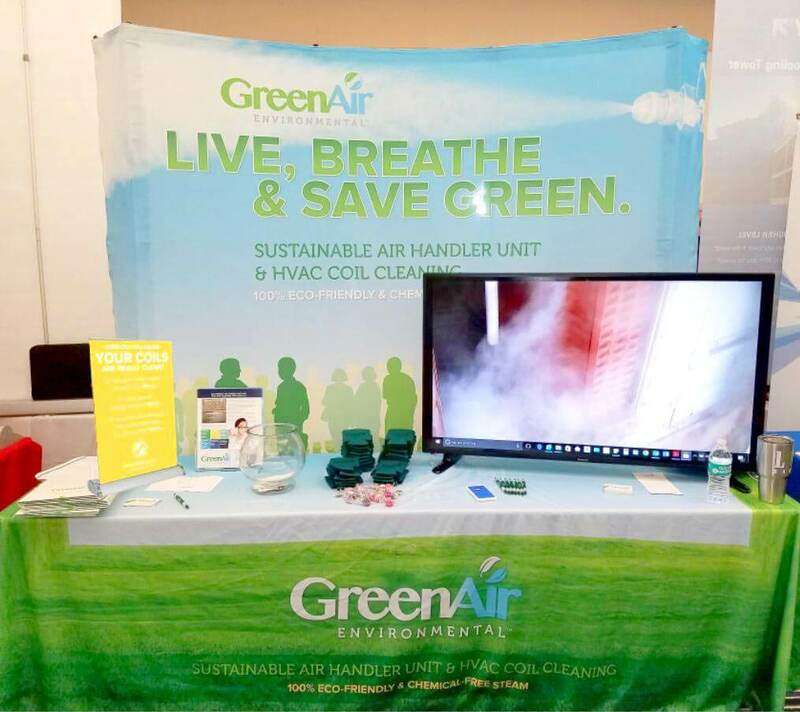 We were able to included cost saving reports from former clients, client testimonials, tradeshow and industry events Green Air attended, and client education. Tim used TalenAlexander’s creative team to come up with sales-focused flyers, brochures, and trade show materials. Tim spends a lot of time educating his peers and potential clients on his all-natural process and needed beautifully designed, yet informative sales materials to accompany him. “It was a wonderful working experience and the work delivered by TalenAlexander’s team met our expectations precisely. We are getting numerous inquiries from our website and I am thankful to everyone involved in this project for meeting the tight deadlines. I am certain that the guys must be handling multiple website projects at the same time, but they never let us feel underwhelmed in terms of response.